Does W.Va. Need More Poetry? 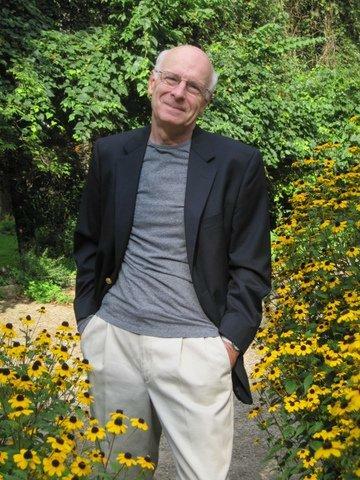 Perhaps not surprisingly, West Virginia’s poet laureate, Marc Harshman, seems to thinks so. He’s been collaborating with several organizations, including West Virginia Public Broadcasting, to conceive of new events that will bring more poetry to the daily lives of West Virginians. “I have a great faith in poetry to refocus in us what it means to be human and with every passing year I feel an ever-greater need to be reminded about what it is that we hold in common as men and women who value beauty and the kind of meanings revealed in artistic expression. "I'm not embarrassed to continue to quote as immensely relevant, William Carlos Williams' adage that 'it is difficult to get the news from poems, yet men die miserably every day for lack of what is found there.'" One of the initiatives Harshman has undertaken is shaping a regular poetry series in Wheeling. The germ of the idea for the series sprouted out of conversations with Ohio County Public Library’s Sean Duffy, orchestrator of a popular weekly Lunch with Books program that features authors, poets, and more. Harshman says conversations with Duffy as well as memories of other events inspired the series. Harshman remembers how people came from all over to hear the writers who were gathered at the festival and to take workshops. When he’s available, Harshman will host the Wheeling Poetry Series, which will occur three times each year. The inaugural event is September 29th at noon at the Ohio County Public Library and features Kentucky’s poet laureate, George Ella Lyon. Lyon will read from her collection Many-Storied House. She’s also slated to give a workshop at West Liberty University earlier in the day, and a second reading in the evening that will kick off a second regular poetry initiative in Wheeling: The Word on the Blue Church (aptly named for the building where it will be held in downtown Wheeling). The Word on the Blue Church will be a monthly series. Harshman, who also had a hand in shaping this series, says the plan is to rotate between more traditional readings by poets and fiction readers, feature story tellers, and on every third month there will be an open mic. Bethany College's board has chosen the Rev. Dr. Tamara Rodenberg to serve as the school's 20th president. Bethany said on Tuesday that Rodenberg's appointment is effective Jan. 1. 2016. She will replace Scott Miller, who left the private college in West Virginia's Northern Panhandle earlier this year to become president of Virginia Wesleyan College. How do the wordsmiths of today describe Appalachians? The people who don't let a day go by without putting down on paper a song, or a rhyme, or a tale that they just had to get off their chest? What kind of worlds do they create in their writings? Fresh Air's classical music critic Lloyd Schwartz is also a poet. He recently published a poem about friendship and loss on Poets.org. It's titled "To My Oldest Friend, Whose Silence Is Like A Death:"